Isn’t Montreal an excellent city? I’ve been there three times and hoping to go back soon. Thanks, Liz. Yes, I love Montreal, too. I was amazed at how much emotion it instilled in me when I read my 10-year-old notes! Stay tuned for more Montreal memories. Thanks, Mike. Always great to hear from you. I hope you’re enjoying the summer. Yes, it’s funny how one might forget just how special a place is until you look back at the memories you’ve made there and then it all comes back. And with you being fluent in French, your Montreal experiences are sure to be much enhanced. Lucky you! Enjoy! You’ve got the spirit, Tammy! What is wonderful about Montreal is that there is nothing you can’t find. No matter what your tastes, no matter what your dreams, there is a spot for it here. Of course, costs can be varied from free to beyond extravagant. I’ve been lucky enough to be spoiled the odd time with the higher priced joys of Montreal, but there is so much that can be enjoyed that is either free or relatively inexpensive. Thank you Doreen for allowing me to mention Montreal on the Cheap (www.montrealonthecheap.com), where people can find many of those lower priced options. also on Boul Sainte-Catherine Ouest in front of Place D’Arts. Thanks to Marijke and to Jeff for their comments. Marijke, it’s great that you have a site offering Montreal fans the scoop on good deals around the city. Thanks for sharing the link here. And Jeff, lucky you to have attended the Montreal Jazz Fest. It’s been on my list for a number of years now! Good on you for getting our taste buds going for all the temptations Montreal has to offer. I’ll touch more on that in the next post. Cheers! My two favourite things about Montreal are 1) the architecture and 2) the urban art. Thanks so much for sharing your pics of the amazing pics of the Montreal street art, Dominique. You’ve captured the spirit of the images so well. I absolutely LOVE street art. We’re so fortunate to have more than 500 murals right here in Winnipeg. And I adored the abundance of street sculptures in Barcelona. As good (or better) than any art you’ll find in museums or galleries. As you’re new to the blog, I’ll post the link to some pics I took in Barcelona here: https://diversionswithdoreen.wordpress.com/2010/11/24/enjoying-the-amazing-street-art-of-barcelona/. Hope you’ll check it out, and that you’ll join us again here soon. Thanks for sharing this Doreen. I love Montreal, but haven’t had much opportunity to stay at hotels there. I spent a lot of time in Montreal, particularly in the 70s and 80s. But I always stayed with friends then. Now that our daughter has moved there I am staying with her. 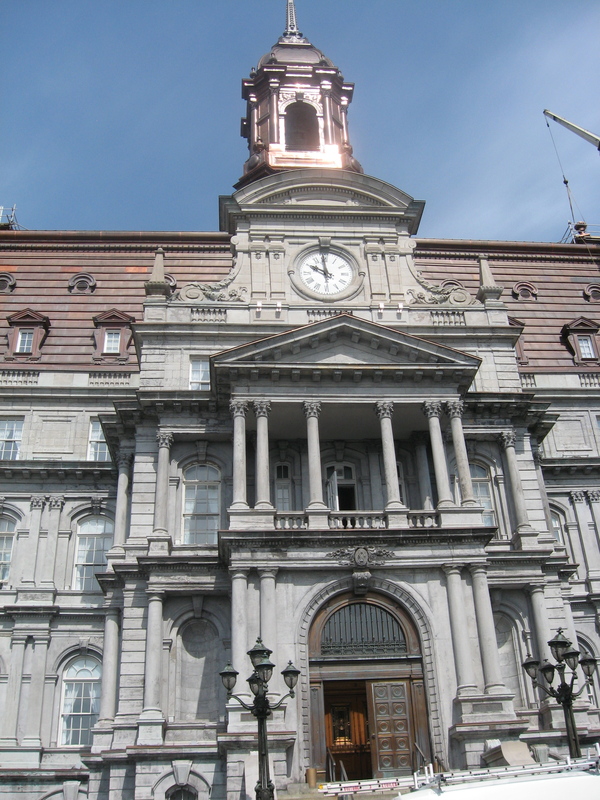 But it doesn’t matter where you stay, Montreal is worth a visit…or two…or three…or more. It’s a very ‘cosmopolitan’ city, with a European flare. Oooh, I love Montreal! When you visit to check out the chocolate, don’t forget to indulge in all the other great foods at the markets. There’s an astonishing cheese shop at the Atwater Market, and a great store called Marche des Saveurs (near the Jean-Talon Market) featuring foods from across Quebec. Thanks to Suzanne and Laura for your recent comments. Yes, Laura, fortunately Kathe Lieber took me to the Atwater Market a few years ago and I did indeed love the cheese shop. So many culinary wonders in this city! I’ve been to a few of the chocolate shops/bistros, but know I have many more to discover. Looking forward to my next visit! Please drop in again for the next post. I moved to Montreal in the summer of 2003 and fell immediately and hopelessly in love with the place. Firstly, the summer is a nonstop carnival of street fairs and festivals– jazz, comedy, pride parades! The sensuous mix of French and English offered me all the exoticism of Europe with many of the conveniences of North America. The seasons (which took a little getting used to for someone who grew up in Mumbai) help me appreciate the cycles of life in a way that we children of the tropics seldom experience. And the food! Ah, but every conceivable cuisine is yours for the tasting (and usually for a very reasonable fee). I’ve been here 8 years already and I still have moments where I feel like I’m on the set of some fabulous movie. I have to pinch myself and fight the urge to ask, “Is this really my life?”. For in Montreal you can live like a queen on an artist’s budget, and, thanks to the push-pull of English and French, experience a unique flavour of multiculturalism that I don’t think English Canada can offer. Thanks for your reply, Geeta! I can see you really appreciate all that Montreal has to offer. The amazing cuisine, the festivals, the multi-cultural dual personality of the city, the old and the new, the fabulous location and the awesome scenery. Thanks for sharing from your perspective. Doreen – I too am having a love affair with Montreal! I have made a mental note to book a true vacation there one day and not always be there around business! My favourite place this last trip was the Bonsecours Market, Marche Bonsecours down in the old city. I could have spent days wandering in awe at the incredible art curated throughout and displayed in the shops that were like galleries themselves. The creative energy just flows, rushes at times, through the historic building and it was hard to leave there not feeling emotionally renewed to create. I find myself fondly glancing at my beautiful art glass paperweight purchased there and enjoy my wine a little more now with my blown glass wine topper from the market. For me, those little personal momentos that bring back the energy and emotion of a city one visited are far more enjoyable than any tourist souvenir. Thanks for joining us here, Michelle. Lucky you to have been able to spend more time at the Bonsecours Market. We only had time to take a quick glimpse and then had to rush off for travel out of the city. Never seems to be enough time! I think you’re right in trying to make a future visit to Montreal strictly a vacation … but knowing us writers, that is very hard to do, as everything is a potential story! And yes, I totally agree how little momentos we purchase while travelling help keep the memories of the trip alive. In addition to chocolate (which is quickly consumed), I always try and purchase some form of art from places I love. Whether it be paintings, wood carvings, paper mache, beach combings. I have them all over our home. So in effect, walking from room to room brings back memories of all the major trips I have ever taken. Hope to see you here agin soon. Montreal is a city I will never forget. Not because of the incredibly friendly residents but also because of the great culinary diversity available in all parts of the city. The best rack of lamb I ever had was in a small bistro in Montreal; the toothsome yet incredibly inexpensiive Indian curry and pappadoms were from a small corner fast food joint in Montreal and I have found no where else to enjoy organic pate de foie gras than in an exclusive eatery on the outskirts of this delightful city. I truly love Montreal.and all it has to offer. Thanks for joining us here, Ross, and sharing your culinary favourites of Montreal. It truly is a multi-cultural Mecca for those of us who love to explore new flavours. I’m betting that sixth wedding anniversary in Montreal was extra special. Hard not to feel romantic when rubbing shoulders with the Montrealais. Thanks for pointing us to your blog post, Judy. You did a great job in summing up the highlights of this great city. I didn’t know you and Glenn had spent so much time in Montreal. Lucky you! Re the Bixi rentals, they are indeed a marvellous thing! However, a friend who rented one had difficulty because of the stipulation of bringing the bike back to a designated place. I can’t recall the details of her quandary, but just caution anyone thinking of Bixi bike rentals to be sure they understand all the terms and conditions of the rental. Look forward to your joining us again here later this week when we’ll talk … chocolate! We’re planning a trip to Montreal this fall — my husband Don to track down information about his great -grandfather who arrived in the Montreal area from Scotland and me to do research at the McCord Museum and Library at McGill University for my next book. Terrific, Irene. Be sure to include some time for just enjoying the romance and ambiance of this wonderful city. My last 2 trips to Montreal were without Reg, and it’s just not the same without someone to hold your hand and take in the softer side of the city. Enjoy! What a beautiful city! It was such a surprise for me. I didn’t know what to expect but I fell instantly in love with it. Have you been to Olive et Gourmando? It’s on Rue St. Paul. They have the best chocolate and banana brioche you’ll ever have. Thanks for subscribing to the blog, Ana, and for sharing your tip about Olive et Gourmando. No, I’d not heard of this shop before. 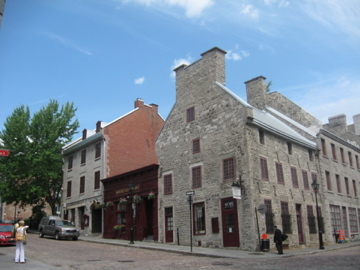 I’ll have to check it out the next time I’m in Old Montreal. Their website is currently under reconstruction, so I didn’t get much of a look. Hope to hear from you when I post the new entry tomorrow. We’ll be across the pond … in Belgium!